The Rock & Roll Hall of Famer passed in his sleep last night. Southern-rock legend Leon Russell has died at the age of 74, early Sunday morning on November 12. According to his wife Jan, the blues-rock musician passed away in his sleep in Nashville. In a statement to NPR, Russell's record label confirmed his death, explaining that he was recovering from "heart bypass surgery in July" following a heart attack. Russell was planning to continue touring in January. 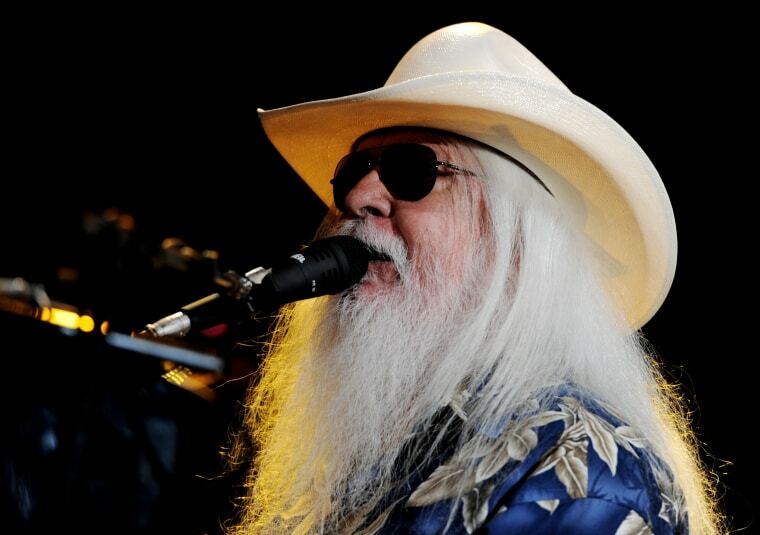 During the span of his career, Oklahoma native Leon Russell brought his talented songwriting, arranging, and playing abilities to collaborations with musicians Willie Nelson, George Harrison. B.B. King, and Elton John — just to name a few. His 1970 song "A Song For You" has been widely recorded by artists such as Donny Hathaway, the Carpenters, and Ray Charles. Russell was inducted into the Rock & Roll Hall of Fame on March 14, 2011. Later that year in June, Russell was inducted into the Songwriters Hall of Fame.